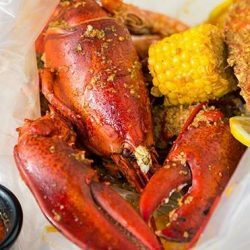 [CONTEST] Got what it takes to be a Golden Chef?  Come out of your shell and whip up your best abalone dish using Golden Chef canned abalone/seafood. 1. 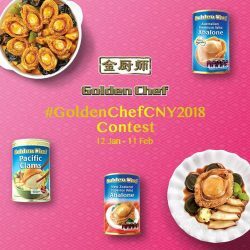 Share a photo of your abalone dish with the Golden Chef product. 2. Tell us why you love this dish (in less than 50 words) and hashtag #GoldenChefCNY2018. 3. Celebrity Chef Eric Teo will select 10 Golden Chefs to win $100 FairPrice Gift Vouchers each. 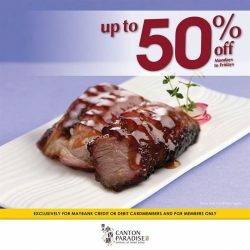 No better way to #treatyoself than with discounts of up to 50% when you dine at Paradise Dynasty, Paradise Classic, and Canton Paradise! Celebrate your #friyay in Paradise! 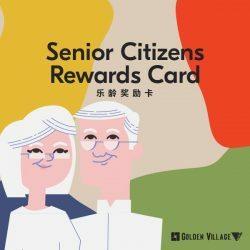 [Golden Village] Time to make movie dates a regular thing! [JAPAN HOME Singapore] Join us now as VIP member & enjoy special privilege just for you! 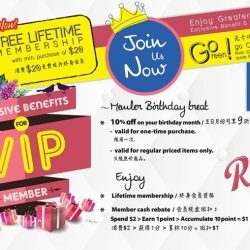 Join us now as VIP member & enjoy special privilege just for you! Gosh! 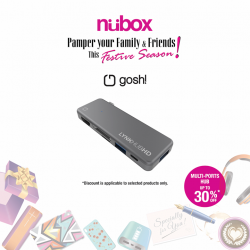 aspires to reinvent and recreate every moment by designing accessories and Smart products that are not just premium in quality, unique yet affordable, thoughtful and reliable all at the same time. 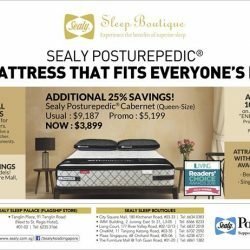 [Sealy Singapore] Sealy Posturepedic – The Mattress That Fits Everyone’s Needs. 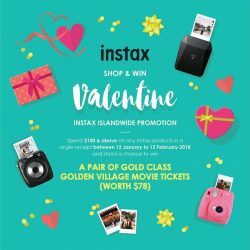 We are giving away 3 pairs of Golden Village Gold Class movie tickets (worth $78) for a movie date this Valentine's Day. Submit your entries by 12 February 2018, 5pm. Winners will be drawn on 14 February 2018. - Only items purchased at FUJIFILM Authorised Dealers will be eligible to participate. - Incomplete entries will be considered invalid and therefore not eligible for the Lucky Draw. - All prizes are not exchangeable for cash, credit, gift voucher or in kind. 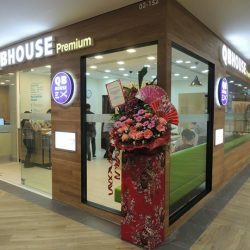 - Winners must present original invoice/receipt, together with original Singapore issued Identity Card or Passport for verification upon collection of the Lucky Draw prize. 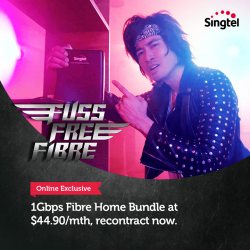 [Singtel] Get Better Deals online! 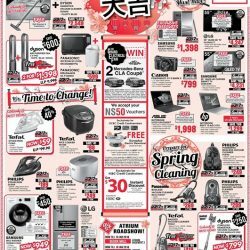 We know it's a very chilly️ Friday morning❄️ but don't let that stop you from shopping for your electrical needs! Can't start preparing for Spring Cleaning without a new vacuum cleaner or some new appliances for the new year so come on down to any BEST Denki retail outlets to get what you need! 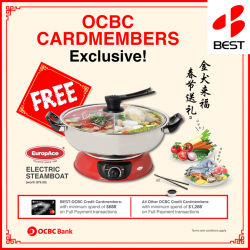 Also, enjoy special deals in-store when you spend with a BEST-OCBC, OCBC or HSBC credit card. Find out more with our friendly staff! 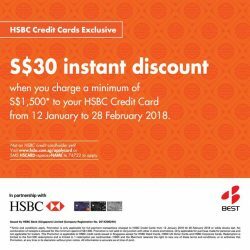 Enjoy $30 Instant Discount when you spend a minimum of $1,500 with your HSBC Credit Card at any BEST Denki retail outlet! Limited to the first 500 redemptions & promotion valid till 28 Feb 2018 or while stocks last. 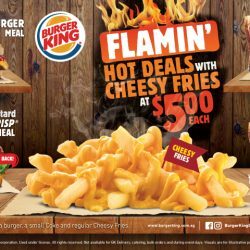 Burger King: BK Flamin’ Hot Deals are even HOTTER with Cheesy Fries at $5 Each! 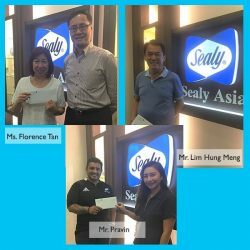 [BreadTalk® Singapore] We’re glad Charles and Kenny from SGAG bonded through our BreadTalk Rewards program. 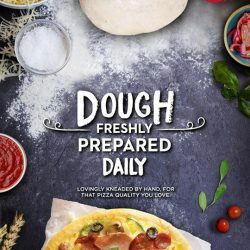 [Pizza Hut Singapore] Each crunch into our irresistible pizzas begins with dough that’s freshly prepared, pounded and baked daily. Each crunch into our irresistible pizzas begins with dough that’s freshly prepared, pounded and baked daily. 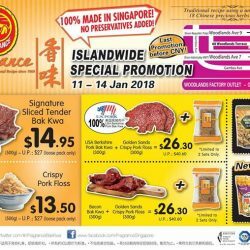 [Fragrance Bak Kwa] Last Promo before CNY! Head down to any of our outlets to get these at a promotional price! 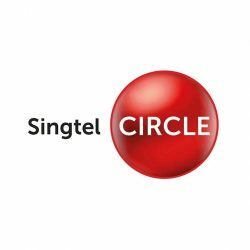 [Singtel] What we like about birthdays? What we like about birthdays? Definitely the presents we'll receive, like this deal from The Boiler. [Babies’R’Us] So we heard that there was ponding the other day. Don't fear! 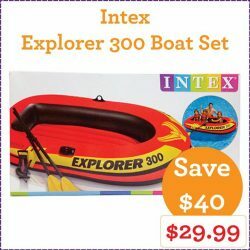 We are offering the Intex Swan Ride-On if you have the time to float to work, and the Explorer 300 Boat Set if you are in a rush! 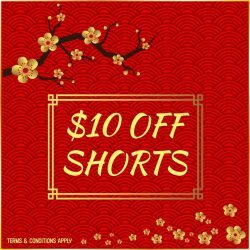 *Offers valid for a short time only! 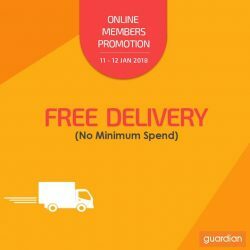 [Guardian] For 2 days only – Online Members say HOORAH! For 2 days only – Online Members say HOORAH! From 11 – 12 January, Enjoy FREE SHIPPING on all your orders with NO MINIMUM SPEND! 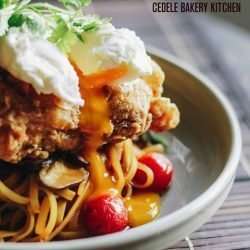 [Cedele] We have brought some festive flavours to our menu this Lunar New Year. We have brought some festive flavours to our menu this Lunar New Year. Here is the Szechuan Chicken & Poached Egg Pasta which is bean dressing pasta with sauteed tomatoes & shimeiji mushrooms, topped with crispy Szechuan chicken and a poached egg. 3 - Tag 3 friends who would like to join this contest. 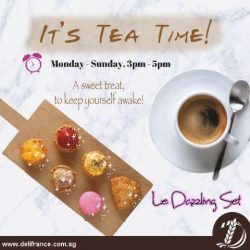 [Delifrance Singapore] Fancy for a sweet tea break to keep yourself more awake this afternoon? 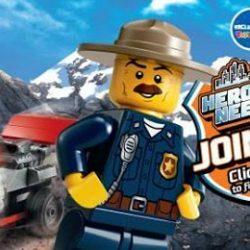 [Babies’R’Us] Calling all young heroes! 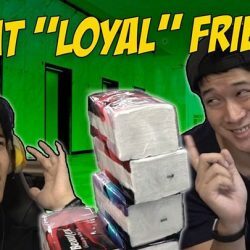 [Denizen Singapore] We heard you!